While many of us would be happy to have any kind of Galaxy Tab at all, there's a certain breed who won't rest until they've eviscerated their latest electronic acquisition for the greater good. 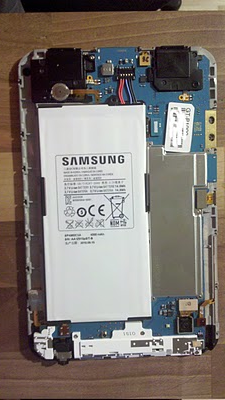 One such fellow is Finnish mobility blogger JKK at jkkmobile.com, who took it upon himself to dismantle his shiny new tablet and show its insides to all and sundry. As you can see in the video, the bulkiest component of the Galaxy Tab is easily its battery, with an impressively large 4000 mAh / 14.8 Wh rating.